This is a game a lot of people have been waiting for. One of the first ridiculously-successful Kickstarter games, this is certainly the most well-known, putting the model on the map. It’s goal was to prove that the adventure game was in demand, and that the nostalgia for Monkey Island and Day of the Tentacle could be recaptured. Tim Schafer’s history was a huge selling point, and it represented a bold idea for game development where games were funded directly by gamers – consumers, even, to drive the point home. After two years and concerns with the delays, it’s finally out, and it presents a beautiful product. 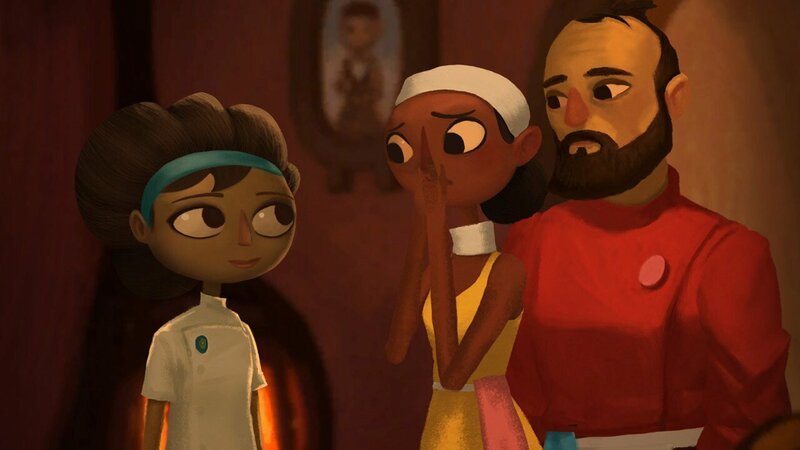 Broken Age’s first act is a traditional point and click adventure, but without the tedium of those games, featuring a much better interface and less obtuse puzzles. Whether it’s worth the $3.3 million dollars it was given is a matter of debate, but it’s certainly a well-designed, nearly-flawless game for the time you get from it – and the rest will be delivered to us, for free, within the year. It should be noted that I am more lenient about the game’s short length due to the coming second act, though much like with Bioshock Infinite’s Burial at Sea, it does affect perception. However, this act stands on its own, giving just enough information to introduce the setting and plot, and hinting at future events. The plot is divided into two parts – one followed baker Vella as she tries to find a way to stop the looming monster threatening to devour her, and the young spacefarer Shay who seeks to escape his coddling ship AI and experience real adventure. The two seem very different, though they do eventually integrate, albeit in a way never fully explained. However, they manage to both exude a similar aesthetic and tone, as well as shared themes of defiance of social norms and desire for adventure and excitement. 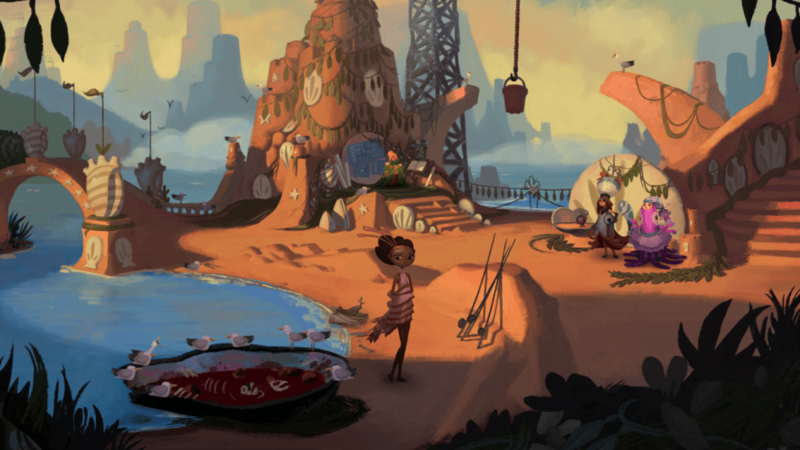 For Alex’s full review of Broken Age, check out issue #32 – coming February 18th. The game itself is great, and is a largely fun adventure experience, but it only amounts to a couple of hours. 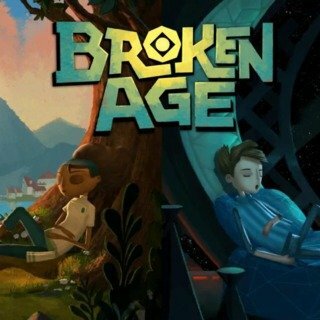 The second half (which, again, will be given for free for whomever purchases the first Act, reportedly later in the year), presumably, will be about as long, which still leaves the game at less than ten hours. That seems quite short, though given the content it might be fine – the original goal was only $400,000 dollars, less than a sixth of the final tally. That extra money essentially covered the cost of the games for the truly staggering number of backers (whose credits truly dominate the entire scroll by many times), and can be seen, not just in a few Hollywood actors, but in the art quality and amazing polish the game sports. The game is $25 for both acts, which isn’t terrible for 8-10 hours (action games have been shorter). Backers essentially got the game for $15. 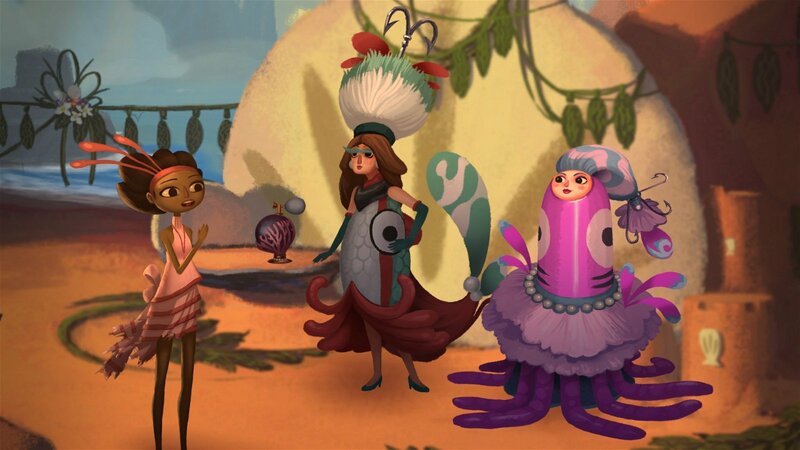 Broken Age has delivered what it promised, quite wonderfully. This initial offering of the first half, and the promise of a conclusion to come at no extra cost, is enough to earn it attention for its beauty.